Although the US is currently the largest market for golf in the world, the game itself was invented in Europe and it continues to be very popular there. 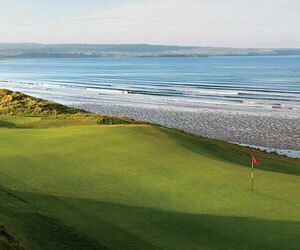 Ireland and the UK, particularly Scotland, are steeped in golfing tradition and offer the visitor some of the best links courses in the world. Of the 4000+ golf clubs in Europe, about 2,600 are in the British Isles. Spain and Portugal are becoming increasingly popular with golfers from all over Europe. These counties have long been popular tourist destinations and golf is an added attraction to the fine weather, sandy beaches and colonial architecture. As expected, most of the clubs are situated in the tourist regions. The number of golf courses is gradually increasing and the quality is as good as anywhere in the world. The Spanish are also well represented on the professional tours. It might surprise some to know that France (350+) and Germany (220+) has more golf clubs than Spain (130+) and Portugal (40+). It has been said that golf is not popular with the populace at large and is considered elitist. Nevertheless, both countries offer a wide variety of golf clubs thanks in part of the varied topology of these large countries. Another surprise is the Czech Republic, which the International Association of Golf Tour Operators named the "Undiscovered Golf Destination of the Year" in 2007. Czech golf has grown at an explosive pace since 1990 when there were just three 18-hole courses in the country. Today, there are more than 80 quality courses. Top Czech courses include historic Royal Golf Club Marianske Lazne near the German border, Karlstejn Golf Resort near Prague, and the Albatross Golf Resort, which regularly hosts the Ladies European Tour. A golf trip to Europe is highly recommended not only for the golf but for the sheer richness of cultures, landscapes and cities. Each country has a strong and individual character for the tourist to explore. There probably isin't a better golfing holiday.